The last time Sen. Marco Rubio and President Barack Obama squared off over immigration, Obama swept the floor with the junior senator from Florida. Which explains, at least in part, Rubio’s evolution on immigration. And explains too why, though Rubio and Obama’s immigration proposals are practically identical, Rubio will not only distance himself from the president because of internal GOP politics but also because the man is rightfully wary. I’m referring, of course, to the fight over the DREAM Act, which the president supported, Rubio opposed, and Congress rejected -- setting Obama up to use executive power to suspend enforcement of deportation rules and allow millions of young people from all over the world to legalize their status. Obama’s move came not in the wake of congressional action but just as Rubio -- who had been hounded by Latino activists for his anti-immigration positions -- announced that he was going to propose his own DREAM Act, one that did not include amnesty or a path to citizenship but would “accommodate” these undocumented young people. Of course, Rubio never got a chance. Obama’s announcement made any proposal from the young Cuban-American a moot point. 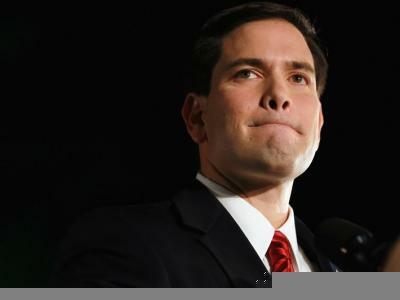 As a Florida state legislator, Rubio had exhibited zero interest in immigration matters (in spite of the fact that Miami is one of the country’s top three ports of entry for immigrants). Once elevated to the U.S. Senate after a quixotic campaign fueled by the Tea Party, Rubio adopted most of the movement’s immigration platform: No to the DREAM Act, no to legalization of any kind for the undocumented, yes to Arizona’s SB1070, yes to E-verify, yes to English as an official language, and yes to increased border security. But Rubio, like so many Republicans, has had a what appears to be massive change of heart since the election -- when Latinos overwhelmingly supported the Democratic Party at every level. Anyway, he’s still saying no to the DREAM Act and yes to Arizona’s SB1070 (though he’s not talking about it much these days) and yes to E-Verify and to English as an official language and, God, a big, big yes to increased border security, but there’s been one significant flip: Rubio is now onboard, as one of the Senate’s Gang of Eight, with finding a way to legalize the status of the 11 million undocumented people in his country. And he has a plan. It’s a plan "totally different" from the president’s with nearly the same wording: an eventual path to citizenship for undocumented immigrants (after they jump through a few hoops), a crackdown on employers who hire future undocumented workers, and a fix to allow for future worker programs. But Rubio and the few Republicans onboard have made the citizenship path contingent on a favorite GOP bugaboo: Increased border security. There are just a few hitches here: 1) Immigration from Mexico is down to net zero; 2) arrests at the border have dropped by nearly a half million in the last five years to 357,000 in 2012; 3) and Obama -- whom Rubio and the GOP accuse of being weak on the border -- has poured more than $73 million into border reinforcement, resulting in the largest number of deportations in U.S. history. In truth, immigration has become a performative issue. Understanding that he can’t actually agree with the current Democratic president if he wants to be a future Republican president, Rubio will now press for an even greater waste of money at the borders, which Obama, to prove just how bipartisan he can be, will probably agree to. Both will immediately declare victory. The problem with Rubio’s theatrics is that while Obama will likely play along, there’s a chance his GOP cohorts won’t think any concession by the president is enough. And Rubio will always side with his party over his people. Meaning that the first chance for immigration reform in a generation could go straight to hell. Follow Achy on Twitter @achylandia.